For a summer that needs no planning…join us for carefree days, blue skies, sunshine and fun-filled activities. Our 2.5 acre water playground provides everything you need for daytime fun… a white sand beach, ten pools, three-story waterslide, poolside activities and by night, Dive-in movies and Cosmic Nights. There’s no need to leave the resort, as kids eat dinner free and play free golf with a paying adult. As nightfall comes to the desert, relax in Center Stage Bar with spectacular views of the McDowell Mountains, cascading fountains and live nightly entertainment. 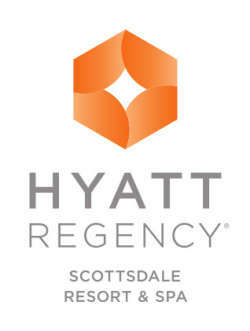 The only plan you need to make this summer is to book your stay at Hyatt Regency Scottsdale Resort & Spa!